Mr. Husband is a graduate of Occidental College and the School of Law at the University of California at Los Angeles. He practices equine, tax and entertainment law serving U.S. and international clients from Southern California, with offices in Burbank, California. He has raised, shown and raced Arabian horses for most of his life, and served for 20 years as an American Horse Shows Association Judge in the Arabian Division. Mr. Husband began his equine law career in 1980 by syndicating Khemosabi, a four time National Champion Arabian stallion, the all time leading sire of Arabian foals with 1,250 direct get. His equine law practice provides business and litigation services in state and federal courts, including the U.S. Tax Court, as well as tax and business planning for both for-profit and non-profit organizations. He frequently represents horsemen in IRS proceedings. He was an Adjunct Professor of Law at Pepperdine University School of Law in Entertainment Law. He has lectured on tax topics to the California State Bar Tax Section and California Tax Policy Conference, the Los Angeles County Bar Association, the Beverly Hills Bar Association, the American Bar Association Tax Section, the American Horse Council and University of Kentucky National Equine Law Conference. He has published tax and equine law articles in The National Law Journal, The ABA Entertainment & Sports Lawyer, Entertainment Law & Finance, The American Horse Council Business Quarterly and California Tax Lawyer. 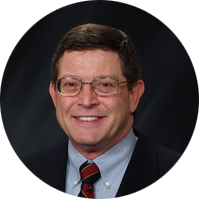 He wrote the “Equine Law” column for Journal of Agricultural Taxation and Law. He has been a member of the Board of Advisors and is a regular contributor to The American Horse Council Tax Bulletin and is a member of the Graded Stakes Committee of the Arabian Jockey Club. He is a contributor of material published in the Horse Owners and Breeders Tax Handbook and is a Director of the American College of Equine Attorneys.